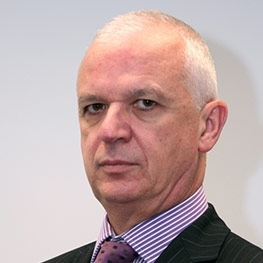 Tony Horan is a Fellow of the Association of Consulting Engineers of Ireland (FConsEI) and is the Group Managing Director of O'Connor Sutton Cronin, a multi-disciplinary engineering consultancy practice. A Chemical Engineering graduate from UCD, Tony has over thirty five years’ experience in all aspects of civil and transportation engineering, planning and project management. He also holds qualifications in Civil, Environmental, Transportation and Industrial Engineering as well as in Planning and International Sales. Tony has been project leader on infrastructure schemes (roads, water and wastewater) in excess of €1bn, mixed use developments (retail, commercial, residential, sports and leisure) over €750m and on major transportation and EIS projects. He is an experienced Expert Witness and has provided Due Diligence advice to a major financial institutions and insurers. In addition to undertaking the overall management function for O’Connor Sutton Cronin Tony has, in recent years, worked on a number of large scale projects in the Irish and U. K. markets.